STAFF at a southeast Queensland council have been told to use annual leave for time off work when the region was hammered by the remnants of Cyclone Debbie last week. 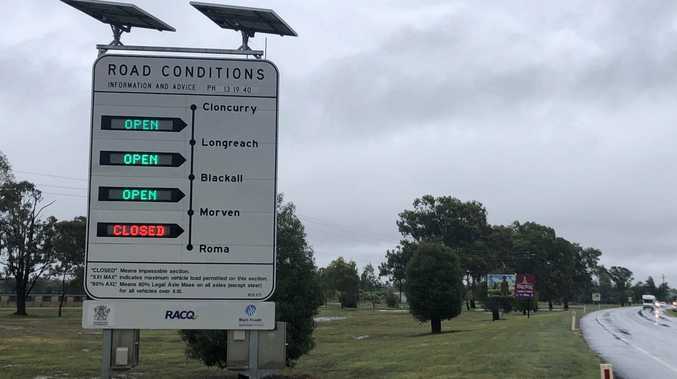 Widespread flash flooding on March 30 cut at least 43 roads in the Moreton Bay ­region and prompted Premier Annastacia Palaszczuk and Police Commissioner Ian Stewart to publicly urge southeast Queensland residents to stay home and keep off roads. A Moreton Bay Regional Council spokesman confirmed staff had been instructed to make "leave arrangements" for time off on the day. "Staff who needed to make personal arrangements were advised to speak with their supervisors and make appropriate leave arrangements," the spokesman said in a statement. The Government closed schools and childcare centres on March 30 and 31 and public transport services were free to help people get home early. Services Union secretary Neil Henderson said MBRC was the only council to take such a "disappointing" approach. "Our view is that, when there is a natural disaster like that, the employer should be ensuring that staff are treated appropriately," he said. Industrial Relations Minister Grace Grace said targeting employees' annual leave was insensitive. "Now's not the time to be clawing back entitlements from those who listened to the warnings issued by the authorities. They were acting responsibly in what was an emergency weather event."